June 21, 23, 26 & 28, 2018 | 7:30 p.m.
July 1, 2018 | 3:00 p.m.
All she wanted was everything. 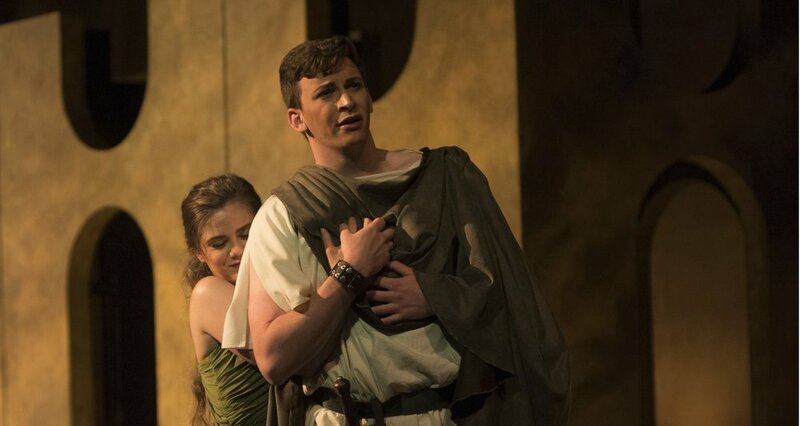 One of the first operas, Monteverdi’s 1642 Baroque masterpiece tells a dramatic story of passion and intrigue with some of the most transcendently beautiful music in all of opera. It’s presented here in a new production at SCPA’s intimate Corbett Theater under the direction of the “superbly imaginative” Zack Winokur (Parterre Box). 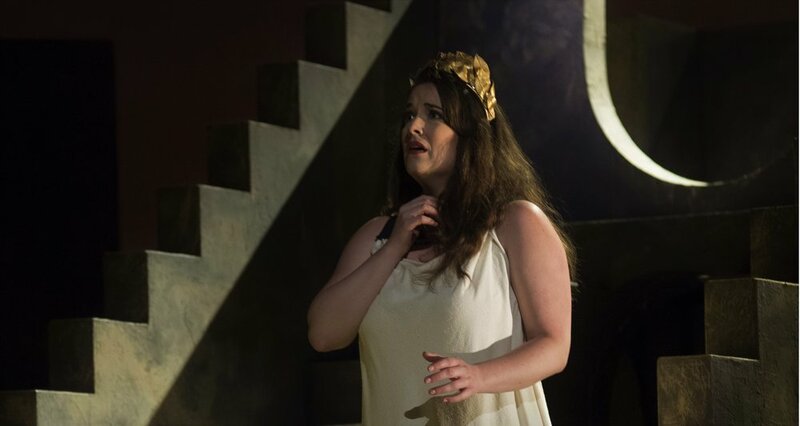 Fresh from her Metropolitan Opera debut, soprano Sarah Shafer lends her “luminous voice” to the role of Poppea alongside the “vocally brilliant” countertenor Anthony Roth Costanzo as Emperor Nero (The New York Times). Members of the early music ensemble Catacoustic Consort join the Cincinnati Symphony Orchestra in realizing Monteverdi’s exquisite score. “The entire evening was a delight, a model for opera companies wishing to explore older music.” Read the review. "Packed with riches... the cast is top-notch." Read the review. 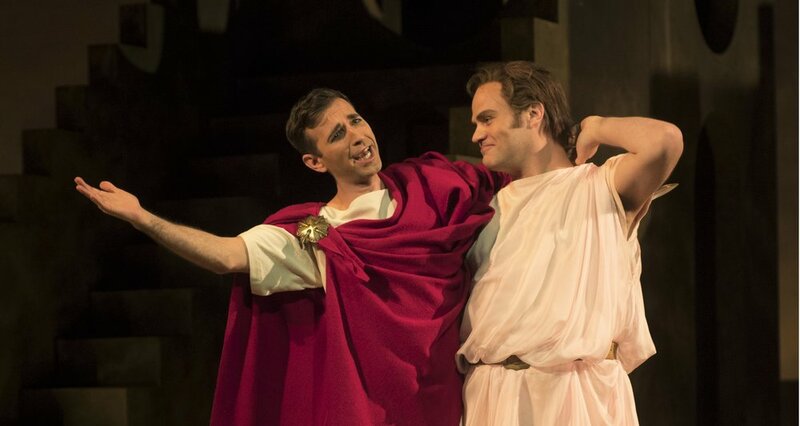 "Costanzo’s Nero was both lustful and chilling, and the singer dominated the stage whenever he was present." Read the review. "A superb cast of young singers." Read the review. "Captured the Baroque sound to perfection... Fascinating and fabulous." Read the review. "Gary Thor Wedow led a sprightly reading of Monteverdi’s score." Read the review. "Gloriously performed and conceived with hints of period authenticity leavened by modernist simplicity." Read the review. Countertenor Anthony Roth Costanzo has made a name for himself performing the Baroque canon, cutting-edge new works, and traditional Japanese kabuki theatre. Listen in as he gives an interview about his diverse career with Harry T. Wilks Artistic Director Evans Mirageas. Suzanne Martinucci, New York-based writer and lecturer on opera, looks back on her past encounters with Monteverdi’s The Coronation of Poppea. Join Evans Mirageas as he interviews Annalisa Pappano, Artistic Director of Catacoustic Consort. This Cincinnati-based early music ensemble is featured in our 2018 production of Monteverdi's final opera The Coronation of Poppea (1643). Join us for a pre-curtain lecture one hour before each performance in SCPA's Mayerson Theater. Evans Mirageas, The Harry T. Wilks Artistic Director, provides overviews and insights into the opera's history, music, and production. Free to all ticket holders. No reservations required.